Preheat the oven to 190ºC (170ºC for fan assisted ovens), gas mark 5. Brush the melted butter all over the mini tortillas and place in a large rectangular ovenproof dish. Bake for 5-8 minutes until brown and firm to the touch. The tortillas will crisp slightly as they cool. Meanwhile, heat the oil in a large non-stick frying pan over a medium-high heat. Add the onion and cook for 5 minutes then add the garlic and beef and cook for 5 minutes, stirring all the time, until the beef is browned. Drain off any excess fat. Stir in the jalapeños, enchilada sauce and water and simmer for a further 10 minutes until thickened, stirring occasionally. 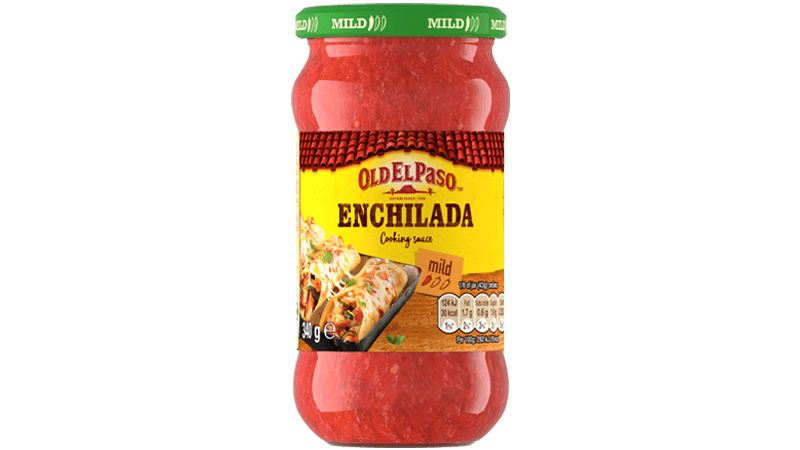 Spoon the mixture into the tortillas and top with the grated cheese. Bake for 8-10 minutes until the cheese has melted. Serve garnished with chopped spring onions. Got a crowd to feed? 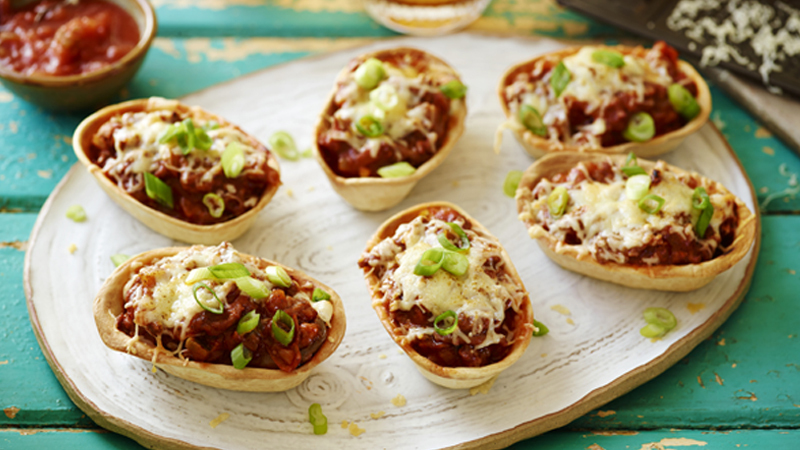 This recipe is easily doubled - just cook up double the ingredients and use 2 large baking dishes. 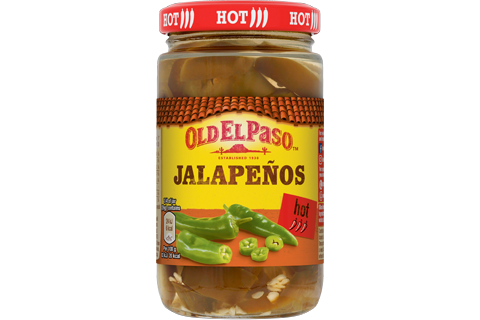 For a milder flavour replace the sliced jalapenos with 1 chopped green pepper.